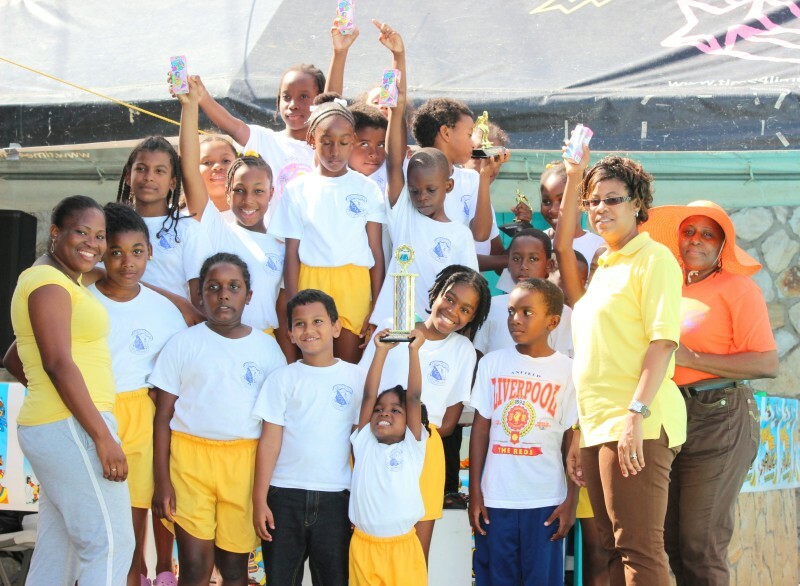 Jenebi Benoit and Keanna Bourne are the top performers in the First Choice Junior School/Fruta Kool Kidz Aqua Splash. The annual event, which is into its 4th year, saw more than 90 students participate in as many as 68 events. 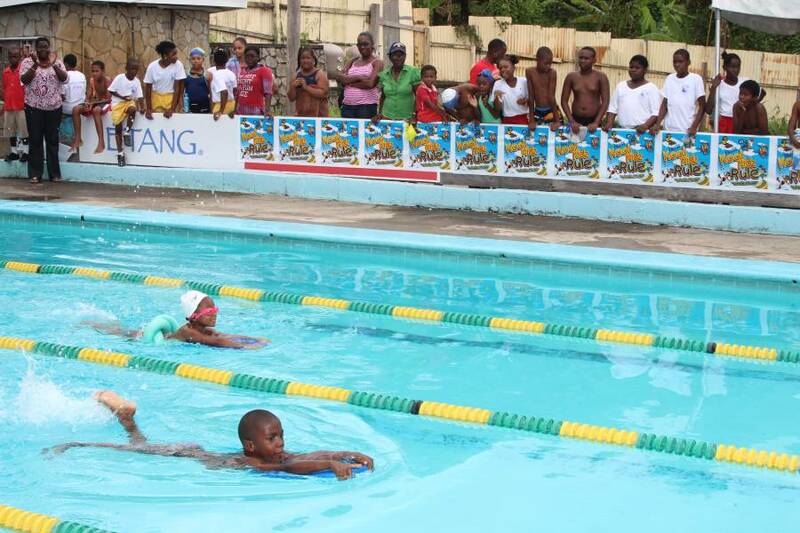 At the end of the meet, Jenebi Benoit of Green (Palmer) house participating for the boys 9-10 category amassed 79 points; while Keanna Bourne of Red (Scoon) house in the Girls 11 plus category ended with 72 points. Principal of the school Mrs. Elizabeth Forsyth in her welcoming remarks said “I am indeed proud of the fact that we have contributed stoutly to the development of the sport of swimming in our beautiful country of Grenada”. She said the students at First Choice Junior School continue to exhibit a keen and competitive spirit, a result of training and support that they have experienced on a weekly basis with the support of coaches, staff and teachers. Sponsor of the event Geo. F. Huggins Fruta Kool Kidz expressed their delight in working with the school over the years. Company Representative at the meet Mrs. K. Williams pledged their support to continue providing healthy drinks and snacks for children. The winners of the different events were presented with medals and trophies. The houses in competition were Glean (Yellow); Scoon (Red); and Palmer (Green). At the end, it was yellow house who dominated the FCJS/ Fruta Kool Kidz Aqua Splash amassing 535.5 points with Green in 2nd position on 500 points followed by Red with 468.5 points. The event was held at the Good Hope Swimming pool in St. Paul’s on Thursday 9 May 2013.